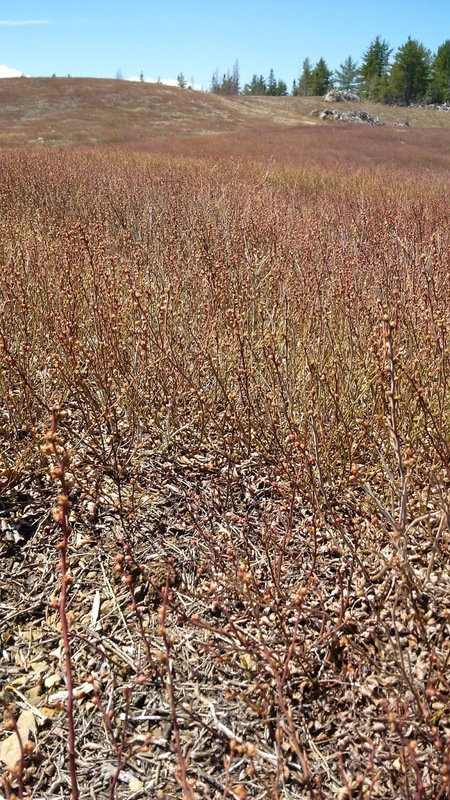 I was in this field on Thursday (Pictou/Guysborough county area), most fruit buds at or beyond the F2 stage. Generally speaking, fields have advanced significantly over the past three days. The only areas that are not at or close to the 40% threshold are traditionally late areas. It looks like we will have an infection period on Saturday, so growers should consider treatments, particularly if you have not applied a control already. Propiconazole based products do provide protection for up to 10 days. If you sprayed last Saturday, that application should protect the buds that were open at application through this Saturday. However, if you sprayed last weekend and only 50% of the buds were open at that time, and the rest opened this week, those freshly opened buds are not protected. We are seeing a lot of variability between fields. It is important to look at individual fields to see if they are at the susceptible stage, particularly if you are in a later developing area. Cape Breton - still in the 10-20 % range. We are still seeing active cups throughout central Nova Scotia, so the risk for infection is high if we get a significant wet period.